Parents get conflicting messages about how we should feel when the kids leave home that leave us full of guilt and confusion. If you’re sad and find yourself melting into a puddle of tears, somebody's bound to tell you how they went out to celebrate when their kids left for school. Yet, if you’re looking forward to having your house to yourself after decades, some friends may look at you with disbelief and horror. Is there a right or wrong way to feel? Absolutely not! It’s perfectly okay to feel any combination of sadness, happiness, grief, excitement, emptiness, anticipation or fear. Your emotions will probably flip on a dime. You're entitled to your feelings. And you've got to work through them to get past the normal feelings of loss. The last year of high school marks many shared Lasts...the last band concerts, games, awards nights, homecomings and proms. Saying goodbye as you leave your teen at college feels like a huge ending. It's also a time of new beginnings. You get to sleep in on the weekends, cook whatever you want, wake up to a clean kitchen, forget all about SATs and applications, do less laundry, go away for a weekend that doesn't involve a college tour, stop juggling cars around so you can get your car out of the driveway, do things you haven't had time for. There’s an upside to empty nesting. Your kids aren’t birds flying away forever. As they learn to fly, you'll all find new ways to adjust and share your lives. Yet no matter how near or far, they’ll still be part of your heart and life. Your emotions may swing from sad, lonely, worried, or anxious to happy, excited, energized, or joyful. Yes, it is okay to feel excited that your kids are no longer at home! After all, raising independent kids who live on their own was always part of the plan, wasn’t it? Instead of stuffing your feelings inside, acknowledge and accept your feelings. Try writing in a journal to process your thoughts. Talk to supportive friends or a coach. Don’t judge yourself for crying or feeling heartbroken. It's part of the process. Allow your feelings to run their course, and you'll feel better sooner. However, if you're experiencing intense feelings that cross over into unhealthy territory, or feel that you're in crisis, please talk to a professional or call a hotline to help you through. If you're going through other big transitions or have experienced loss in the past, you may feel more triggered by this change. Reach out to a trained professional for help. You're not alone. You deserve it. Spend time outside. Get your body moving. Exercise releases endorphins, the happy hormone which helps with positive feelings, better sleep and general happiness. Who can’t use more of that! Take a nap, explore new hobbies or career options that you haven’t had time for before. You get to do what you want, when you want! Find something that you’re passionate about. Do it. Don't “just stay busy.” You’re too valuable to fill your life with meaningless activities. When your kids were younger and you yearned for a chance to do something different, what did you dream about? Now that you aren't as busy with your brood, you can focus on what brings you joy and fulfillment. 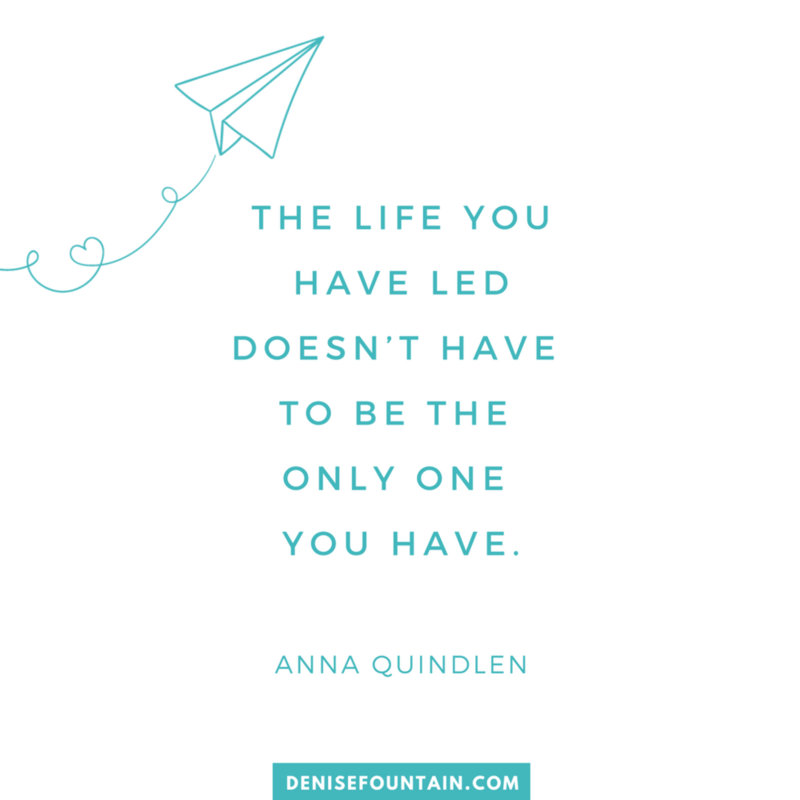 I used my new freedom to focus on my coaching career, and to take up hobbies that I didn't have time for before. My husband and I took dance lessons so that I could show off my two left feet. We can travel by ourselves on a whim, take off for the weekend easily. Being able to pick up and go has added a new and fun dynamic to our marriage. I expected the end of high school and freshman year to be filled with fun road trips and special memories. It was. But it was also hard. The dark side of getting ready to leave home is accurately described as the days are long but the years are short. By junior and senior year of high school, it was time for me to step back so my kids could take ownership of college and scholarship applications, roommate choices and more. I was there for them when they needed me, of course, while encouraging their independence. Oh, man. There were a lot of long, long days in that last year before graduation! High schoolers are understandably stressed about their futures, finances and scholarships, leaving home for the first time. Sometimes we were all (yup, moms and dads are no exception) nearly impossible to live with as we navigated the inevitable changes. Did they miss deadlines? Probably. But it all worked out, and lessons were learned. Today, they're responsible young adults because of their learning experiences. These are the things that will make you crazy, even though it's a normal part of the letting go process: know-it-all attitudes, being uncommunicative, getting completely wrapped up in friends, making the family feel second-rate. Help them deal with their fear and stress in healthy ways, expect respect, and be a good parent role model. You've invested so much time and love into raising your family. Step back and let them fly. When you ease into the role of mentor, your relationship grows to a deeper level. Listen, be curious, support them by asking the questions that will help them develop their critical thinking skills. Allow yourself to be there as an advisor, not a fixer. They'll learn from their decisions (or they won't), but they need the chance. Having you as a sounding board helps them strategize and plan. We start out by carrying our children in our arms, always keeping them close. We hold their hands as they learn to walk. Next we stand beside them as a steadying force, and then at the sidelines as they become more independent. Now it’s time to watch them head off into their future, knowing that we’ve given them our best. We'll always here for each other. It’s all part of the magical parenting process. Instead of cheering them on the playing field, we celebrate different and wonderful firsts - my daughter's first job offer, my son's first promotion, their first staff meetings, negotiating job offers. "Behind every child is a parent who believed in him first" pretty much sums it up. 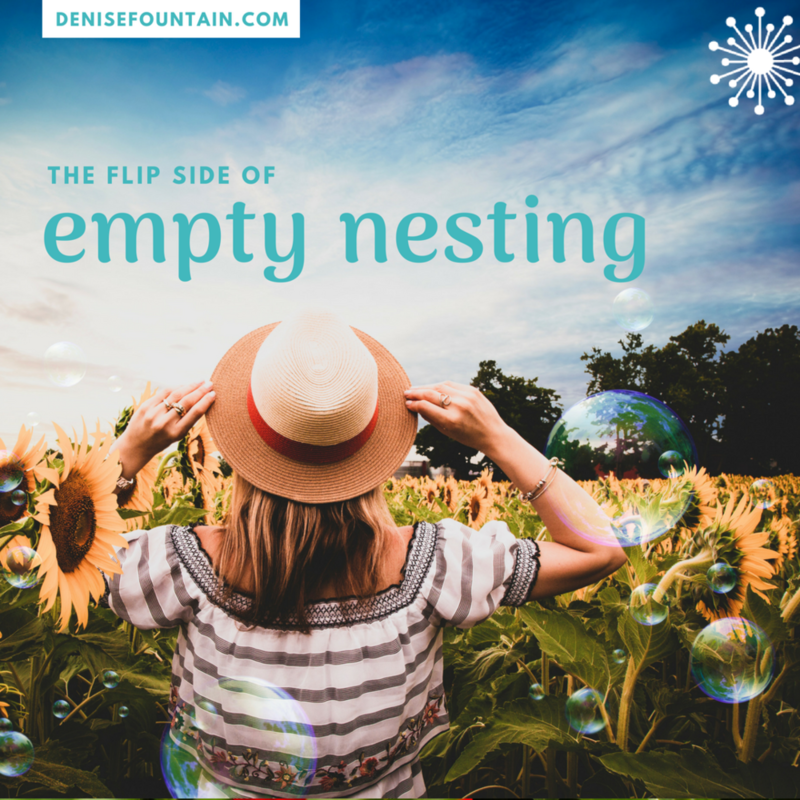 Empty nesting is like coming full circle. 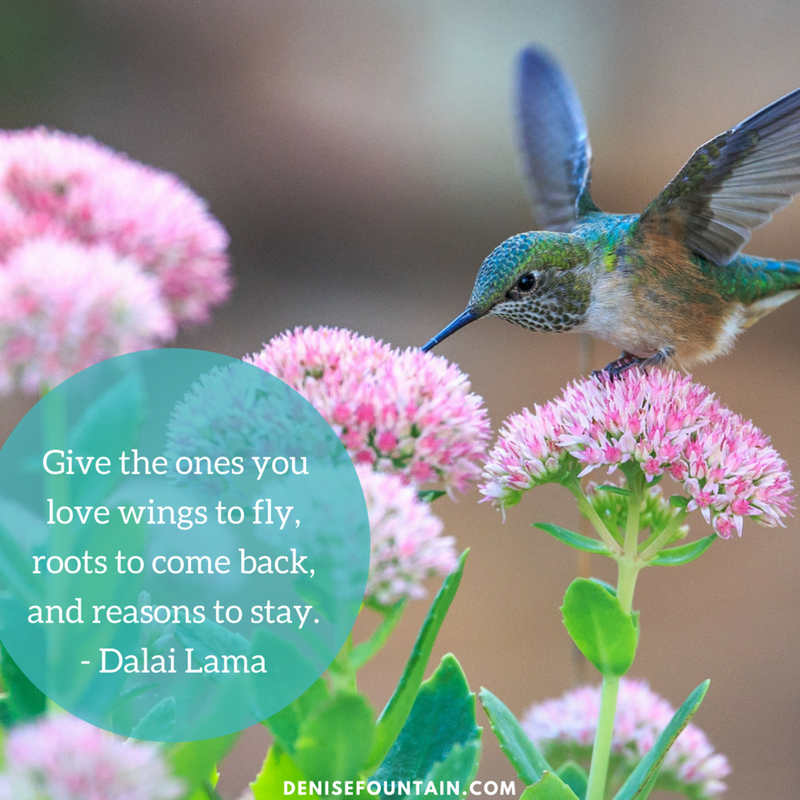 Not only is it time for your kids to spread their wings, it’s your turn too. You get to create a new and fresh canvas for the next exciting stage in your life. I’m on the other side of wondering what life will be like after the kids move out. It’s been five years since my children have lived at home. We love when they pop back into the nest for a visit in the home that will always be here for them. And, I’ve got to confess that my husband and I like the flip side of empty nesting. We have time to do what we want, to travel, to celebrate our family. And we have a more adult relationship with our kids based on loving and accepting who they have grown into as young adults. Give it time. I think you will love this next stage, too. Older PostHealthier boundaries for happier living!